Get ready to do date night—right! Whether it’s your first or your 500th date, date night comes with a special set of jitters. But one thing you don’t have to be nervous about? Your outfit. So get ready to fall in love—with these looks, then your date. See our go-to date night looks for every age! 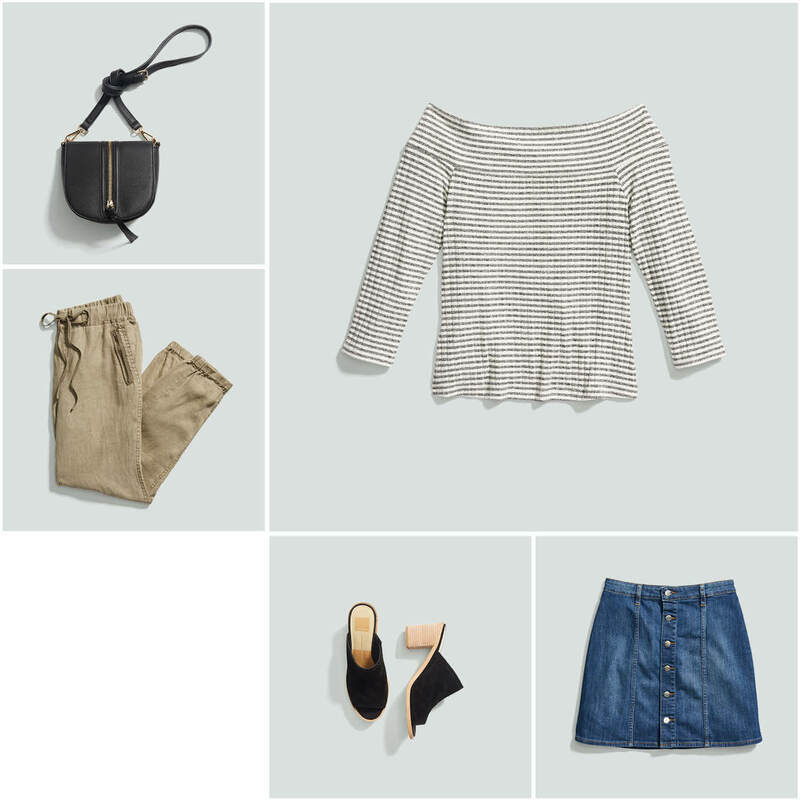 If you’re scheduling a first date for every day of the week, reach for the season’s freshest trends for your meet-cute outfits. Show a little skin (and get sassy while you’re at it!) with an off-the-shoulder top paired with an old-school-meets-new-school denim skirt. Top it off with a hands-free crossbody bag, perfect for stowing your date night essentials (like breath mints and lip balm). Knock ‘em dead! Consciously uncoupling from singledom? If you’re getting serious with this one, it’s time to take the most classic date-night outfit—jeans and a T-shirt—to a new level. Instead of reaching for a cotton top, try a silky blouse layered under an edgy moto jacket. Slip into the perfect pair of jeans, then tie it together with your trusty pair of ankle booties or heels. Whether all your kids are out of the house or your kids are your dogs (or your jobs! ), it’s time for you and your beau to sneak away for a date night reprieve. For your special night out, try a figure-skimming jersey dress in a sophisticated shade like navy, black or charcoal. Then, show off your gams with a strappy heel and matching tote that pulls it all together (without the fuss!). We know life’s busy, so take this simple fashion formula and use it as your date night go-to! “Comfort is key! Nothing ruins a night out like uncomfortable heels or a too-tight pencil skirt. Instead, play up your shape with figure-flattering pieces.” — Stylist Anne R.
They’ve seen you at your best and your not so best. There’s no denying it‚ you’re in it for the long haul. For those casual, yet intimate dates that can be the trickiest to dress for, keep it classic! 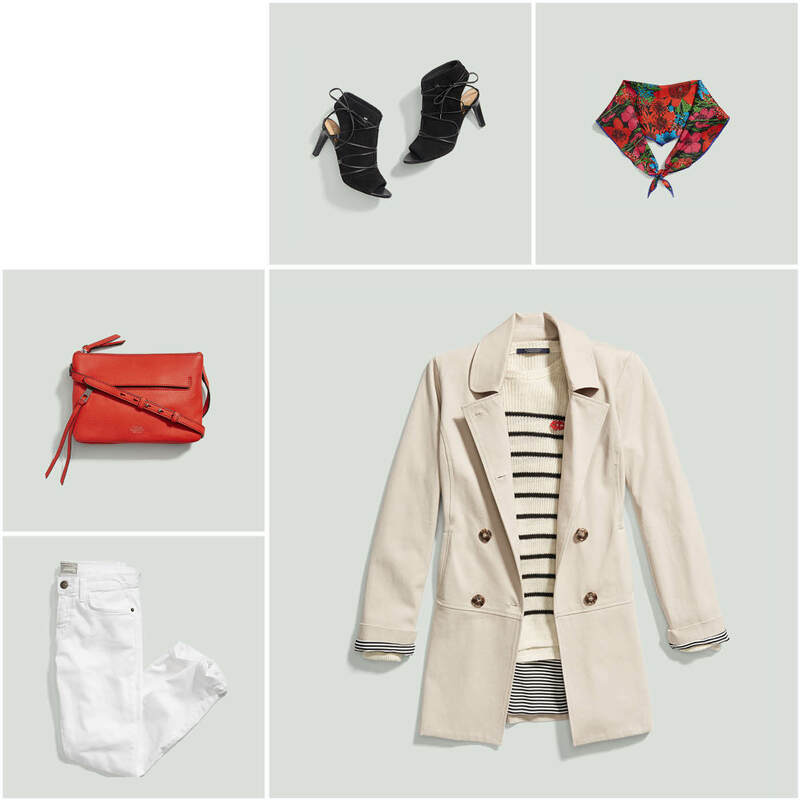 A tailored pair of white skinny jeans with a striped crew neck sweater and classic trench coat are a great way to get a fresh, clean palette. Then add in your favorite accessories, like a silk scarf or a piece of history-filled jewels and you’re set. Your S.O. is already hooked, but a new outfit can be a friendly reminder of how lucky they are! Have a date night penciled in? Tell your Stylist!